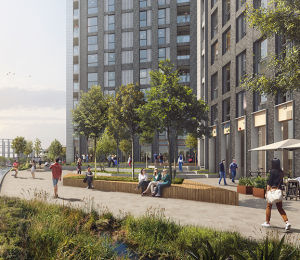 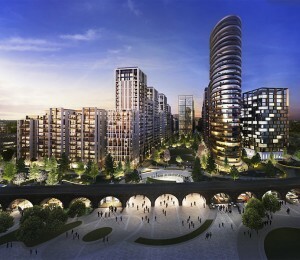 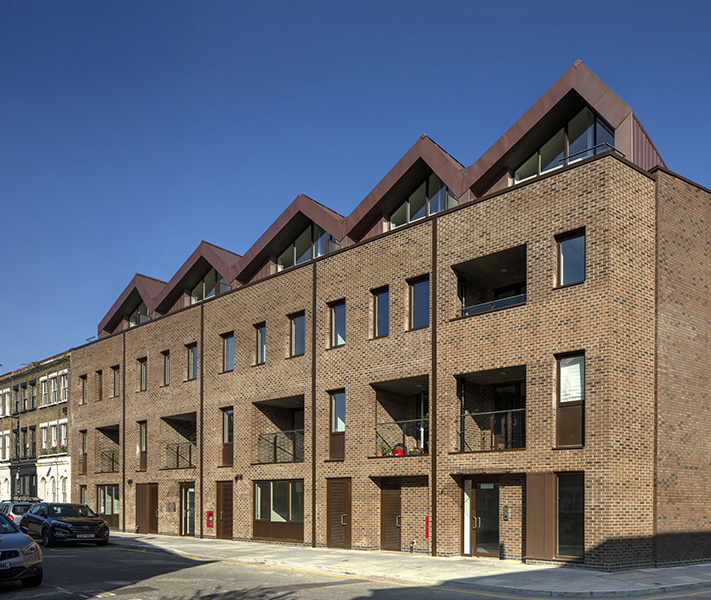 Vyn Yard has regenerated an urban brownfield site on a thriving artistic street in the Regents Canal conservation area with a mixed-use scheme of 23 apartments and commercial space. 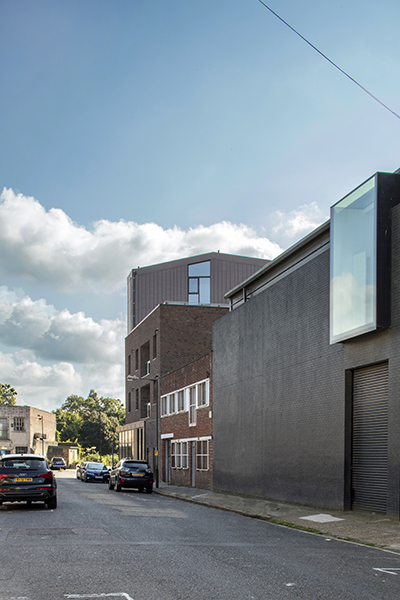 Located in an area that was once a trading hub for wine merchants and now a hotspot for east London creatives, Vyner Street hosts regular gallery exhibitions and a monthly street festival. 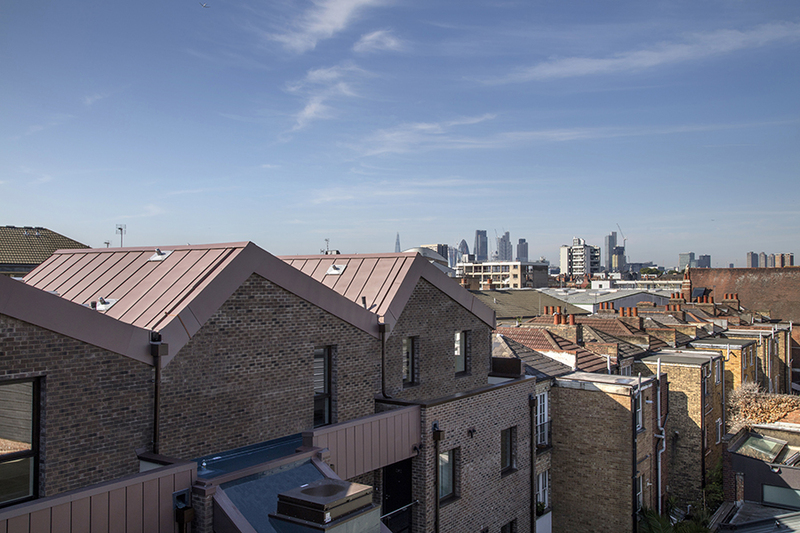 Our ambition was to recognise the rich local historical context by adding to the industrial character of the area. 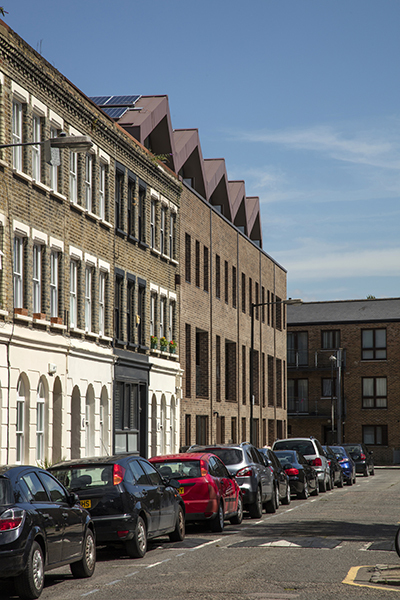 This is achieved by reinstating the streets with residential and workspace entrances along the perimeter of the site, bringing activity and life. 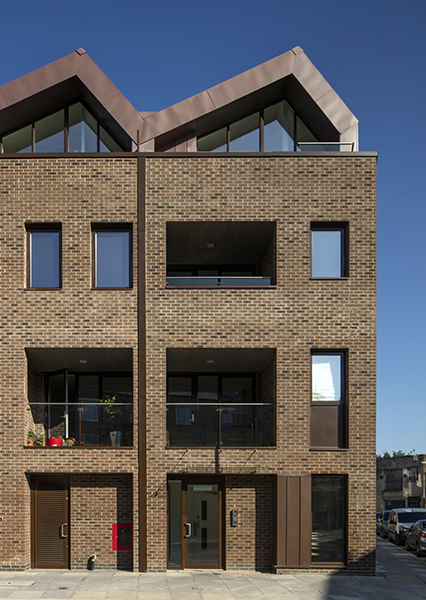 The scheme’s solid brick base is formed of a red brown brick with lighter and darker pointing to reflect the industrial warehouse approach to brickwork. 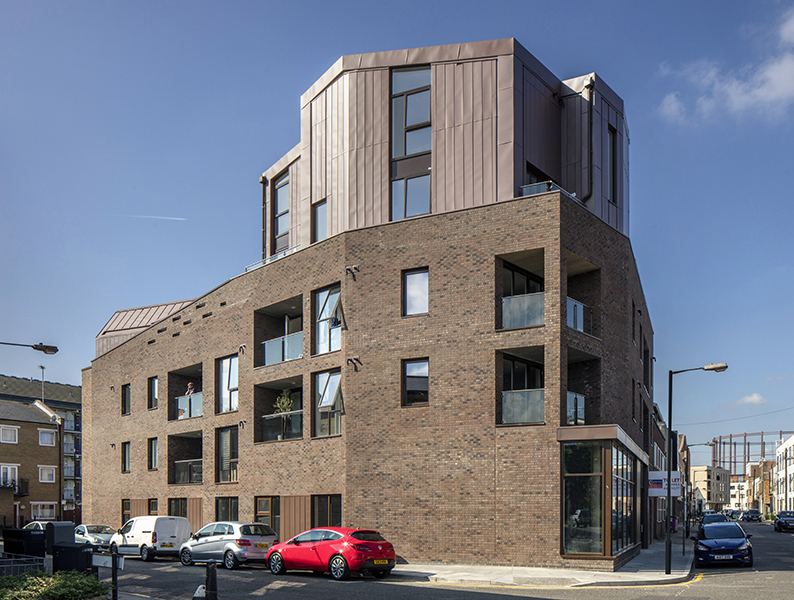 A distinctive zinc zigzag roof, reglit glass stairwell and an aluminium shopfront structure are smaller elements that add to the industrial aesthetic. 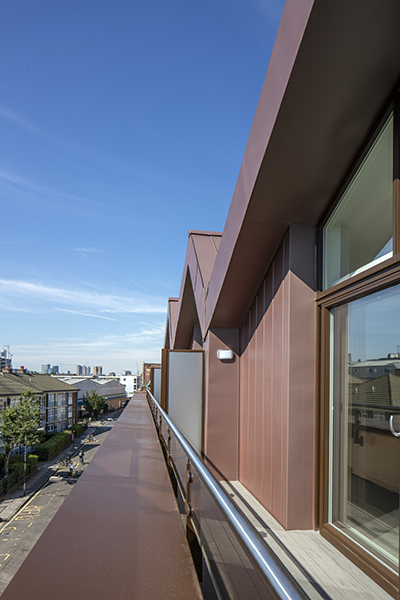 These elements appear as contemporary additions to an established robust building that belongs in its immediate surroundings. 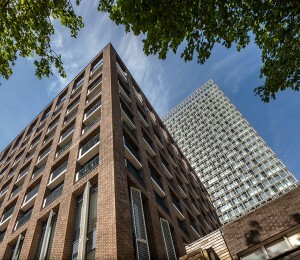 The elevations reflect the Georgian terrace along Wadeson Road and the contemporary architecture of the Vyner Gallery along Vyner Street. 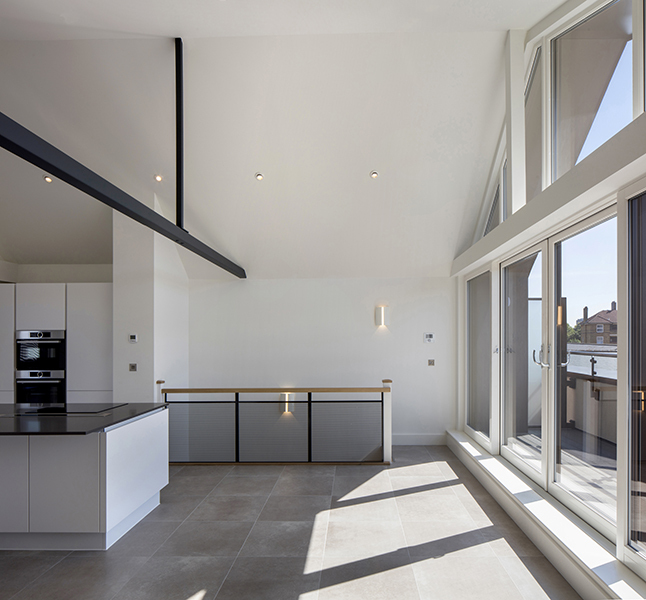 Inside, vaulted ceilings, exposed steel beams and brickwork give the apartments a raw industrial feel. 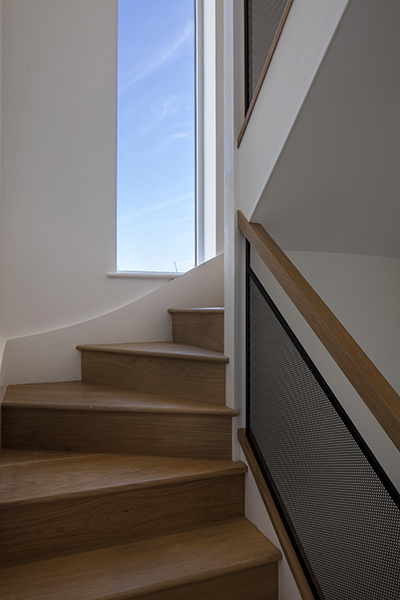 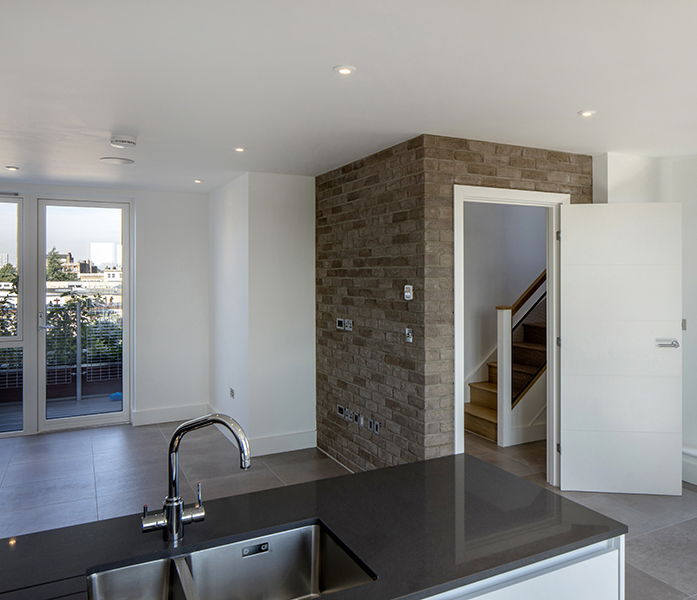 All apartments are smart homes with tablet-controlled lighting, sound systems and underfloor heating. 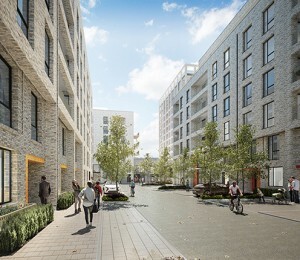 In addition to one and two-bedroom apartments and three-bedroom duplexes, the scheme includes the reprovision of the workspace that was previously on the site with much improved street frontages and access.